Rain lashed the plains as fresh snowfall occurred in the higher reaches of Jammu and Kashmir on Tuesday, with the Met office forecasting an improvement later in the day. "The weather is likely to improve from this afternoon," a Met official said. 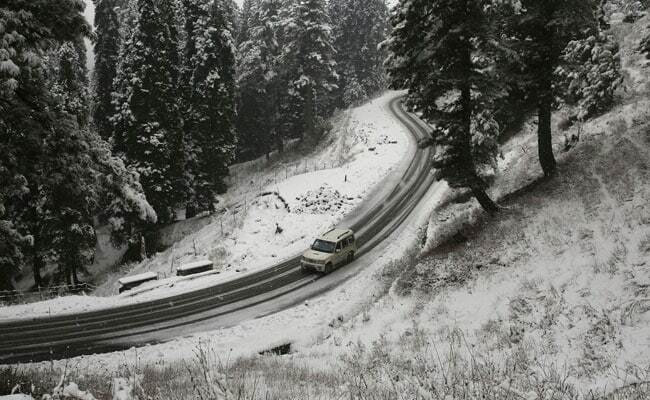 The Srinagar-Jammu highway was closed for traffic on Monday afternoon due to the fresh snowfall in Bannihal sector. As a precautionary measure traffic has also been suspended on the Srinagar-Leh highway and the Mughal Road. The minimum temperature was 1.6 in Srinagar, minus 2 in Pahalgam and minus 7.6 in Gulmarg. Leh recorded minus 6.2 and Kargil minus 7.3 degrees Celsius in the Ladakh region. Jammu city recorded 10.9, Katra 8, Batote 1.8, Bannihal 0.2 and Bhaderwah 2.6 as the night's lowest temperatures.